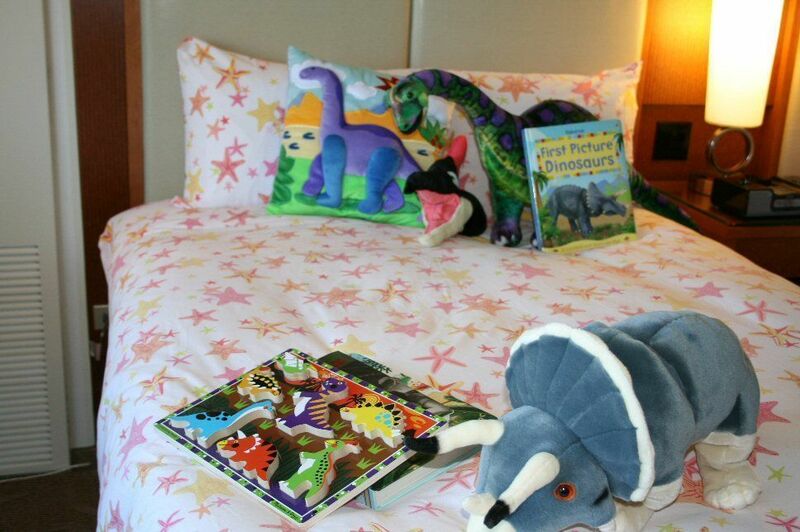 From coast to coast, hotels are reaching out to families with younger children by offering colorfully themed sleeping quarters and lots of extra perks. Between May and July 2009, Family Travel Forum's consulting division, FTFc interviewed a number of acknowledged family hotels and family resorts to find out about the state of their amenities for adults traveling with children. Happily, most of them have more and larger themed family suites available than in the past, as well as more amenities and programs designed specifically for school-age kids. Of course, you'd expect Orlando, Florida and other theme park destinations to lead the pack in imaginative, kid-pleasing hotel design. And in many cases, these destinations do. But others have gotten into the game by becoming their own 'theme park.' The Great Wolf Lodges, North America (800/559-WOLF) have built their business around indoor water parks, naturally a family-family environment. Their forest themed, self-contained resorts were designed to appeal to families with children 2 to 14-years living within driving distance of many vacation destinations: Wisconsin Dells, Wisconsin; Sandusky, Ohio; Traverse City, Michigan; Kansas City, Kansas; Williamsburg, Virginia; the Pocono Mountains, Pennsylvania; Niagara Falls, Ontario; Mason, Ohio; Grapevine, Texas; Grand Mound, Washington; and Concord, North Carolina. In addition to pure fun, costumed mascots waiting to pose for pictures, huge game arcades, supervised crafts classes and a super green environmental policy, each all-suite Great Wolf Lodge features 270 to 400 “dens” with microwave, a fridge and sitting area. They range in size from Family Fireplace Suites to KidCabin Suites with bunk beds in semi-private sleeping areas themed with trees, tents and bear caves. Many hotels which once had a one-size-fits-all attitude toward decor have learned a lesson from these family vacation success stories. On a small and personal scale, they are dolling up some accommodations and smarting up their programs to appeal to the fussiest of young travelers, while continuing to court other segments of the market. With 18 kids' suites ranging in themes from Dr. Seuss and Jurassic Park to classics like a castle or sailboat design, the Loews Portofino offers many great options for families. The Dr. Seuss rooms feature the "Cat in the Hat" and other memorable characters from the books, making you feel like you’re living in Who-ville. The suites include two rooms, with the children’s room opening up to the adults' room, so the kids won’t be able to escape their rooms and wreak havoc on the hotel staff. Kids can also take part in Camp Portofino, a supervised children’s activities center. While staying at the hotel, families receive many exclusive perks, such as the Universal Express Ride Access, allowing them to bypass lines at many of the rides and attractions at Universal Orlando. Other amenities include priority seating at Universal Orlando theme park restaurants, complimentary on-site transportation, and enjoying one of the three-themed hotel pools. Another Loews Hotel property, the Hard Rock features music-themed Lil’ Rock Kids Suites. The rooms feature a king-sized bed for the parents and two twin beds in an adjoining room for the kids. 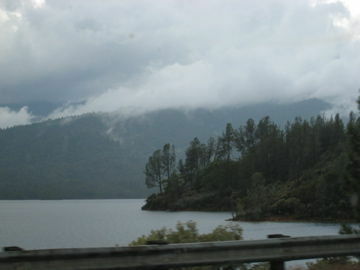 They also have Camp Lil’ Rock, a supervised activity center for kids to enjoy. Just like at the Loews Portofino, family guests receive the Universal Express Ride Access and priority seating at Universal Orlando restaurants. The pool at this resort is amazing, providing 12,000-square-feet of pool fun, along with a sand beach, an underwater sound system, interactive fountains, and a 260-foot waterslide. Other fun, added value activities at the hotel include poolside movies, rock 'n' pop culture trivia contests, tie-dying, character dining (for a fee of course), water basketball, and other fun games. With Dora the Explorer and the Fairly Odd Parents, your kids will feel right at home in their themed rooms alongside their favorite Nickelodeon characters. The Kid's Suites at the Nick Hotel in Orlando offer two and three-bedroom suites, which feature a living room area and a kitchenette. The suites include a master bedroom for the parents, and in the kids' room you can choose between either two twin beds or a bunk bed. Other amenities include a pull-out sofa, a TV, Play Station 2, and dining table with chairs. Some exciting options to generate more revenue from families include a Character Breakfast, at which kids dine with their favorite Nickelodeon characters who are more than happy to give an autograph. The added value about this option is that kids under 5 eat for free. Another fun spot at the resort is the Mall, where kids can eat, play, and pamper themselves at the Kids’ Spa, where all ages are welcome. Entertainment is everywhere at the Nick Hotel, luring families back early from the theme parks. Adults can hang out at the Nick at Night Lounge, for example, while kids are having fun in the Nick-After-Dark Kids Activity Program. 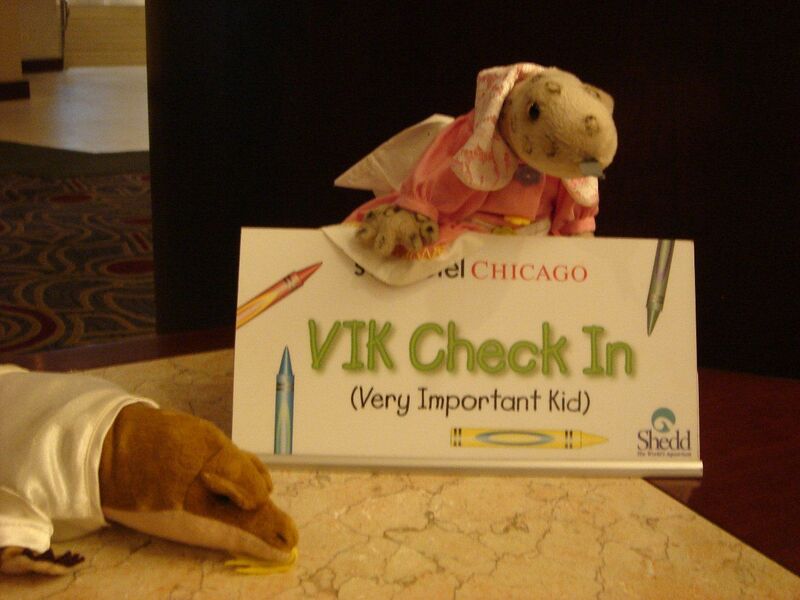 From check-in to checkout, kids are treated like royalty at the Swissotel Chicago in the Very Important Kids program. Upon arrival at the hotel kids receive a coloring book to occupy them at their own small desk with kid-sized chairs, while their parents handle the check-in procedures. Then they are escorted to their themed room, which can be decorated with a Shedd Aquarium, Adler Planetarium, or Field Museum theme. The suites have an adjoining room for kids complete with DVD’s, video games, toys and books, and come with a child-sized bed. After playing in their room, kids who work up an appetite can try some of the kid-friendly meals like a four-ounce sirloin burger, butter pasta and meatballs, or a very special make-your-own PB&J on crust-less bread. Of course, kids can create a mess like none other, so Swissotel Chicago offers a quick laundry service for a fee. Parents traveling with tweens and teens have the added perk of free wireless Internet in all guestrooms. And don't forget that kid-approved pool on the 42nd Floor. At this Washington, DC hotel, the Family Bunk Rooms feature specialty bunk beds, with the top bunk a twin-size bed and the bottom bunk a full-size bed. The rooms also have a king-sized bed for the adults, a flat-screen Sony TV, DVD player, and Nintendo. Other hotel highlights include in-room spa treatments to help mom and dad relax, in-room movies, daily newspaper delivery, pet amenities, and a fully stocked Honor Bar. The chain's Kimpton Kids Program helps families with features that allow mom to travel light, providing baby cribs, in-room child safety kits, high-chairs and booster seats at all restaurants, and child-sized animal print robes. The front desk will assist adults in arranging for a babysitter, for a fee. The Urban Explorers Kids’ Suites at the Hotel Metropolis will make your kids want to stay inside and play all day. This three-room family suite sleeps up to six adults and three children. Included in the suite are a kids’ room, a connecting guest room, and a living room area that features a refrigerator, wet bar, and pullout sofa. The kid’s room is complete with kid-sized furniture, bunk beds, a computer, toys, and a chalkboard wall, which kids love, since they get to write on the wall. The bathroom also has a rubber ducky theme, very inviting for families. When you check in, kids will be given fortune cookies and a list of area attractions that may be of interest. The hotel also features a library with open-access, complimentary with your stay, a business center, and fitness centers. This boutique hotel company has gone all out for families at its San Francisco properties. For example, a sister hotel of the Metropolis, the Hotel Union Square (114 Powell Street, San Francisco, CA 94102, 415/397-3000), is where the Ring in the Kids Suite celebrates the history of art deco at the San Francisco property. 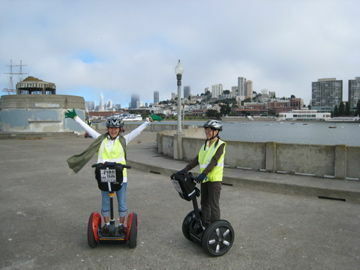 Upon check-in, kids receive a list of attractions to see in San Francisco picked by the hotel owner’s children and a mini cable car filled with Ghirardelli chocolates. 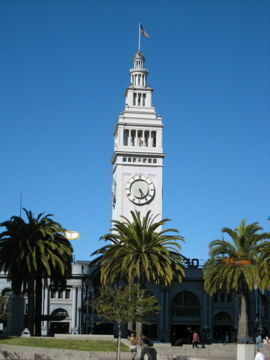 The Hotel Diva (440 Geary Street, San Francisco, CA 94102, 415/885-0200) is another Personality Hotels property. Like any Diva would, this hotel invites kids to be “little divas” in their Little Divas Suites, which honor famous child performers. Incorporating bright colors like red, hot pink, and yellow, the themed suites include a bunk bed, a futon, donut-pouf cushions, a computer, and a drawing table. For the stars-in-training, the suite offers a karaoke machine and a trunk filled with costumes and accessories including sunglasses, feather boas, jewelry, and more. Young guests receive coupons for two hot chocolates at a Starbucks adjacent to the hotel, where parents can load up on caffeine to keep up with the kids as they explore San Francisco with the hotel's complimentary guide of kid-friendly attractions. 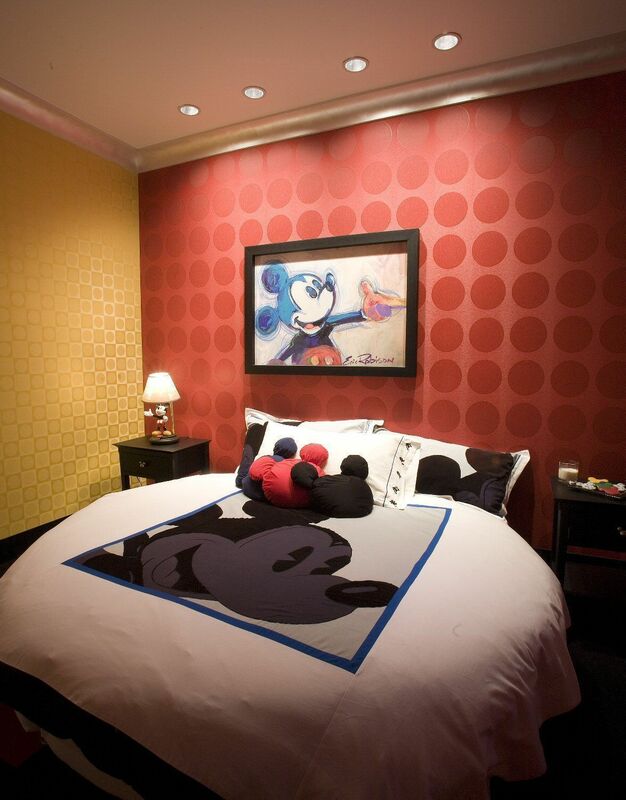 The Disneyland Hotel at the Disneyland Resort in Anaheim has one of the most Disneyfied VIP lodging experiences in the world – the Mickey Mouse Penthouse. The 1,600-square-foot penthouse's floor-to-ceiling windows offer spectacular views of the themepark as well as an interior design in “Mickey’s” signature colors of black, white, red and yellow. This family suite includes an open living room, dining and kitchen area, two bedrooms and two and-a-half bathrooms. Classic Mickey Mouse imagery and 3-D artwork predominate, along with photos and sketches featuring images of Walt and Mickey rarely seen by the public. 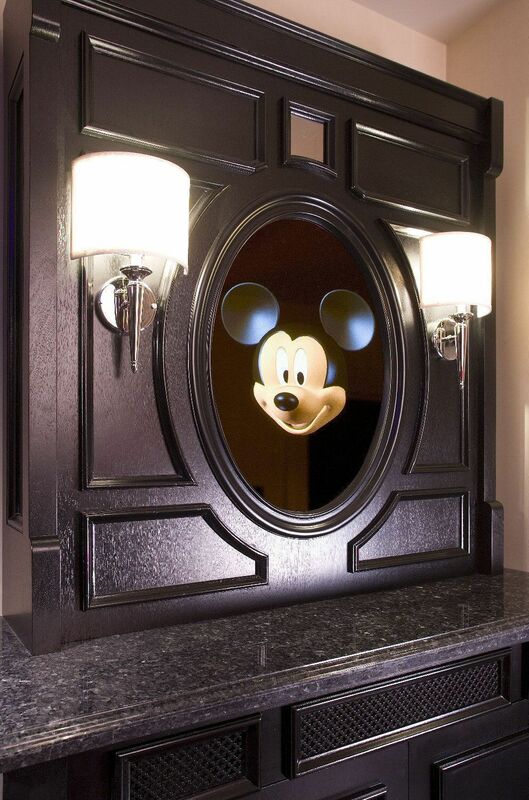 As guests enter, Mickey appears inside a foyer "magic mirror," personally welcoming them to this one-of-a-kind penthouse. This is one of our favorite touches, but the enormous Mickey ceiling and media wall — with its three flat screen TVs and a state-of-the-art home theater system — are very impressive. Maquettes (3-D models used by Disney animators to effectively render a character in two dimensions) are displayed in the master bedroom and there's even more magic in the shower, where unique glass tiles reveal images of Mickey Mouse when warm shower water hits the tiled wall. Disney has decked out the second bedroom just for kids, with its own flat panel TV, DVD player and video games. The room features a cutting edge animator’s station, a high-tech table that adds to the Mickey Mouse and animation-inspired storyline. The desk will help budding artists take sketching to a whole new level as they draw their favorite character and watch it come to life through the magic of Disney technology. Also at the Disneyland Hotel, fans of the "Pirates of the Caribbean" attraction and movie series can now live their pirate dreams at the Disneyland Hotel Pirate Suite, a family lodging that combines modern conveniences with a rogue's décor, furnishings and ambience. Start with the doorbell, which plays “Yo Ho, Yo Ho, A Pirate’s Life For Me.” The living room has old rugs, dark-stained hardwood floors like ship's planking, overhead wooden beams, and Spanish colonial-style furnishings. Modern day booty includes a wet bar, 42" plasma TV and surround sound stereo system. The Master Bedroom features a vintage canopied four-poster bed with cast iron lighting fixtures; the second bedroom is the junior pirate stronghold with nautical-inspired furniture. Among the treasures to be discovered in the suite, including some in locked display cases, are a replica of Captain Jack Sparrow’s revolver, rare pirate figurines from the popular Walt Disney Classics Collection, a lithograph signed by Disney Legend “X” Atencio (Lyricist for the song for “Yo Ho, Yo Ho, A Pirate’s Life For Me”) and a replica of the mysterious Davy Jones’ “Dead Man’s Chest.” The suite also boasts spectacular views of the Never Land Pool area below, Santa Catalina Island, the nearby San Bernardino Mountains and the nightly thempark fireworks show. Just 6 miles from Disneyland, this hotel is wrapped in its own on-site theme park, 160-acres of roller coasters, games, and live entertainment to be enjoyed by the whole family. In addition to the Knott's Berry Theme Park, the resort is also right next to Soak City Water Park, Medieval Times, and the Pirate's Dinner Adventure. 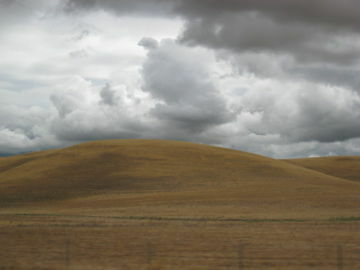 The accommodations at Knott's Berry include Snoopy Rooms, with two full-sized beds featuring Snoopy bedspreads and curtains, as well as a painted sleeping Snoopy and Woodstock on the wall. Kids will love the Snoopy-visits, in which Snoopy himself comes to the room to tuck them in. They can also get Snoopy to read them bedtime stories, free of charge, by calling him on the room phone. Other in-room amenities include tea/coffee maker, iron and board, TV, and WiFi (for a fee). The resort also features a heated pool and spa, a fitness center, the Amber Waves Restaurant, and complimentary shuttle service to Disneyland. 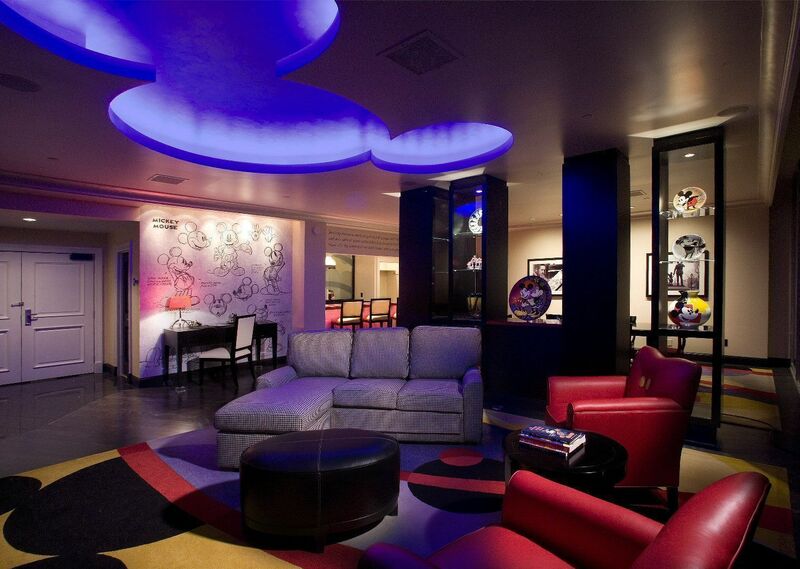 Six of the Omni Hotel properties in Texas include these special Kids' Sensory Suites. 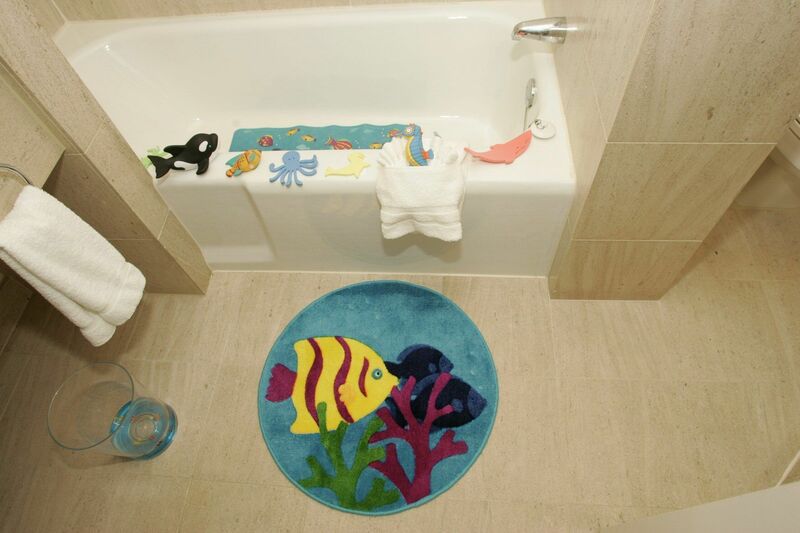 The in-room offerings include twin beds featuring bright and colorful bedding that kids will love, beanbag chairs, an art table, board games, books, bath robes and aquatic-themed bath accessories. In addition, kids can take advantage of the complimentary Kids Sensation Bar, which has toys and snacks for them to enjoy. The Texas properties that offer these suites include the Omni Mandalay Hotel at Los Colinas, Omni Houston Hotel, Omni Corpus Christi Hotel, Austin Southpark Hotel, and Omni San Antonio at the Colonnade. Although the other Omni Houston Hotel at Westside does not include the kids suites, it does offer the Omni Kids program, which provides little ones with suitcases filled with board games and activities, a backpack when they check in, and kid-friendly menus. Parents are also given a list of kid-friendly area attractions along with a first-aid, local emergency phone numbers, a night light and outlet covers. This rustic lodging is sure to dazzle all with its luxurious accommodations and lavish surroundings. After a full day of exploring the area, everyone in the family will enjoy sinking into goose down comforters or snuggling up by a cozy stone fireplace. Families can choose from any of five signature themed rooms: The Cowgirl, Cowboy, Grand Teton, Shoshone and Silver Dollar. To complete the ultimate Western vacation experience, each two-roomed suite provides a plush Silver Dollar Sam teddy bear. That's about the only nod to kiddish-ness; suites are very tastefully done and there is a collection of fascinating artwork throughout the space. Downstairs, guests can eat at the hotel’s famous – or infamous – Silver Dollar Bar & Grill, where over 2,000 silver dollars can be found encased in a glass-top counter. With a private fitness center and two large Jacuzzis, the family may never want to leave this Jackson Hole getaway.